Looking for something for the Science Kid in your family? Or have a child who likes to explore and learn while using imaginative play? If so you should check out Uncle Milton! Uncle Milton leads the science category with popular brands such as; Star Wars Science, Explore It, Back 2 Nature, Ant Farm, Dinosaur Train, In My Room, Horrible Pets and Tarantula Planet. 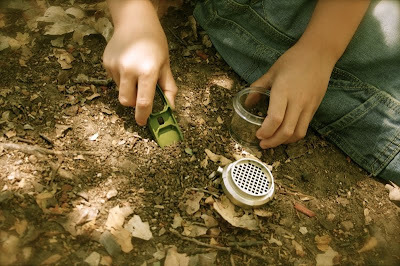 Their newest line of products are from the National Geographic, which include things for your little explorer. We were sent the 4-in-1 Explorer Navigation Tool and the High Sierra Eco Explorer to try out. JJ has really been into science lately, always asking about the earth and life. 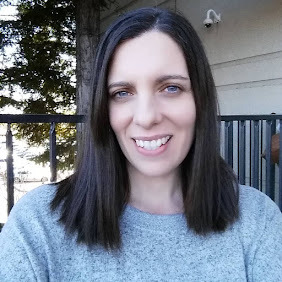 Also wanting to know what bugs and creatures are for and where they come from. Exploring in the dirt and yard for good finds! The High Sierra Eco Explorer is cool (words from my son). 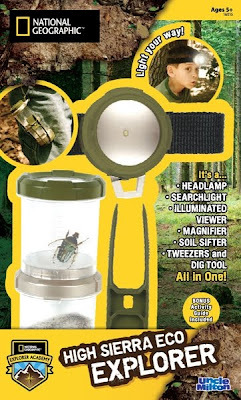 It has a Headlamp (all kids love a headlamp), a magnifier, soil sifter, tweezers and a digging tool. He got straight to work outside! The tweezers are nice and big so he could maneuver them well. It was fun to collect things int the jar and show us his finds. FUN for sure!! The 4-in-1 Explorer Navigation Tool is a compass, thermometer, whistle and signal mirror all in one!! It attaches right to your belt loop. JJ thought he was so big stuff walking around with the tool hanging from his pants. My husband has recently started going on hikes with our oldest, just him and JJ exploring nature. 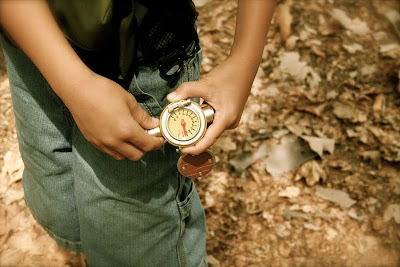 Not only has been fun for JJ to navigate their way in the woods and learn about reading a compass, my husband is getting a chance to teach him survival/life skills along the way. The National Geographic line has more products similar to the ones we reviewed. 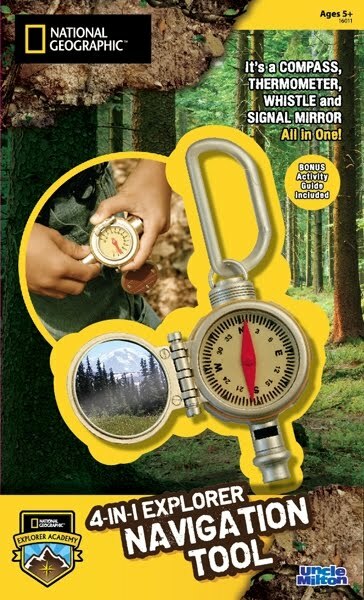 We loved our National Geographic Explorer tools, these items will be great on our camping trips this summer! Along with the New National Geographic products they have a ton of great other fun things to check out at Uncle Milton's Toys!! You can be a Facebook fan or Twitter follower of Uncle Milton's Toys for discounts and new product news.